Chennai, Apr 18 : DMK South zone organising secretary and Union Minister M K Azhagiri today said the DMK-led alliance was prepared to face a repoll in Madurai West Assembly constituency if the Election Commission orders it. Asked about reports that the Election Commission (EC) might order repoll in Madurai West, Mr Azhagiri said the EC was a very powerful organisation and ''we have to abide.'' Mr Azhagiri, who was talking to newspersons at the Airport here on his arrival from Madurai, said the DMK-led alliance would face the repoll if need be and emerge victorious. Reports suggested that the EC was mulling over ordering repoll in Madurai West, following reports of large scale distribution of money to the voters. 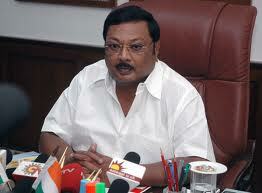 The DMK has fielded K Thalapathi in this constituency. Claiming that the victory prospects of the DMK in the just concluded Assembly elections were bright, Mr Azhagiri said the DMK-led alliance would win more than 200 seats and form the government under the leadership of Chief Minister M Karunanidhi. He dismissed as baseless, AIADMK Generel Secretary J Jayalalithaa's charge that her partymen were being attacked by DMK men in Madurai and other southern districts. A visit to Government hospitals in Madurai and southern districts would show that only DMK men were admitted to hospital after being injured in violent attacks by the AIADMK workers. Asked about the functioning of the Election Commission, Mr Azhaigiri said he had nothing new to say. Throughout the elections, the Commission had functioned in a biased and partisan manner, he said.